The Everything DiSC® Productive Conflict report and facilitation kit will help you explore workplace conflict. Clearly one of the most stressful, awkward, and inevitable experiences in the workplace is inter-personal conflict. Now we have a tool and training materials focused on workplace conflict using the language of DiSC. With all the attention placed on conflict resolution maybe it is time to change our view of conflict and resolve how we can use it in a positive way in the workplace. Check out the publisher sponsored showcase events! Click here to view dates and register. Conflict may be influenced by an organization’s culture, hierarchy, working styles, and everyday human relationships. While it is a common part of any working relationship, people’s response to conflict is entirely in their control. 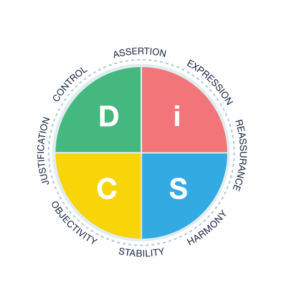 Everything DiSC® Productive Conflict improves self-awareness around conflict situations, highlighting how DiSC® can help you recognize destructive conflict behaviors and make a decision to react differently. Click here to watch a recording of our showcase webinar to learn more. The facilitation materials have gone through four beta tests. The result is excellent. Click here to look at the format and download sample sections. When you purchase any of our facilitation kits you receive a recorded train-the-trainer in which we review the entire kit and suggest enhancements from our experience. Of course, personal support is always just a phone call away! Click the button to order an online access code for yourself. Or, if you have an Epic account, issue your own access code and take a look!